Strategy Deployment makes problems visible. 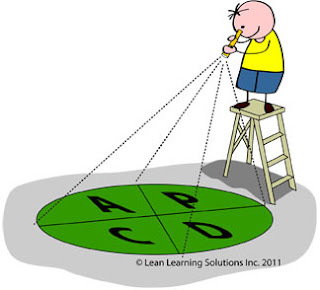 Each step entails a deep, shared understanding of Lean fundamentals. To develop a good Plan, for example, we need to Go See and grasp the situation thereby. But this is difficult if our visual management and information flow are poor. It'll be doubly hard if our managers hide problems because of dysfunctional mental models. Similarly, improving the system requires a solid understanding of Practical Problem Solving and root cause analysis. Sustaining improvements entails locking in improvements with 5 S, standardized work. Weak fundamentals are perhaps the most common failure Strategy Deployment failure mode. In summary, please supplement your Strategy Deployment efforts with a broad development of Lean skills - for front line team members, as well as senior leaders. And remember, since Lean is all too clear, it takes time to grasp.